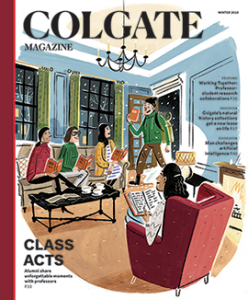 Welcome to the new Colgate Magazine, formerly the Colgate Scene. This redesign, the first in a decade, accomplishes some long hoped-for changes — while, we hope, maintaining the spirit of Colgate’s flagship publication. Backed by readership survey data, we felt confident in the decision to change the name as part of our mission to modernize the magazine. 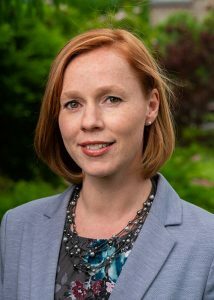 You will undoubtedly notice other changes as well — starting with a more manageable size for the print edition. In this issue, you’ll find the same content you’ve loved, new ways to engage with the magazine and learn about Colgate, and a boost in pride for alma mater. If you do not receive the print version and would like to check out our new look, e-mail magazine@colgate.edu. We care what you think, so send us your feedback: Colgate Magazine, 13 Oak Drive, Hamilton, NY 13346 or e-mail us.